The value-packed inverter offers powerful and reliable performance in a quiet, lightweight package with advanced programming to power a wide range of appliances for less than $1,000. ances such as hair dryers, microwaves, tire warmers, heaters, and more. At only 44.1 pounds, the lightweight generator is a mobile and efficient power source that will run for up to 10.5 hours on a single gallon of gas. The inverter is also equipped with Yamaha’s advanced Smart Throttle and Noise Block technology, resulting in whisper-quiet noise reduction. The EF2000iSv2 includes many competitive features such as a standard fuel gauge, an auto-warm up feature that helps cold starting and an independent fuel petcock, which allows users to shut off the gas to run the carburetor dry preventing stale gas problems and costly carburetor cleaning and repair. 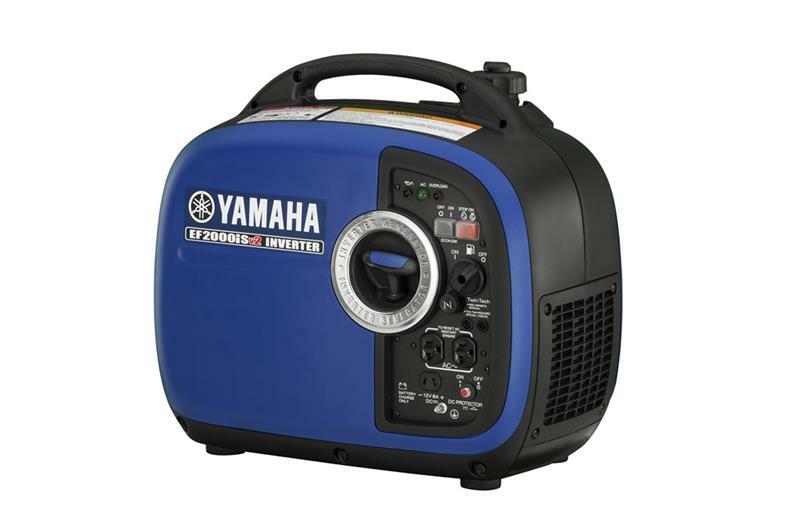 Yamaha’s leading line of generators comes standard with a 3-year factory warranty and offers the same high-quality engineering and technology that goes into all of Yamaha’s motorized vehicles. View additional details on the new Outdoor Power Equipment, along with Yamaha’s full lineup on www.yamahamotorsports.com/powerproducts.